Evelyn Smit was born on May 14th 1991 in Leiderdorp, the Netherlands. In 2008 she started her Bachelor in Biology and Medical Laboratory Research at the University of Applied Science Leiden. After finishing her Bachelor in 2012 she started with her Master Biomolecular Science at the VU University Amsterdam. In the second year of her master she participated in the EU-Atlantis study program, CanSys. For this program she moved to Buffalo, New York USA, to participate in the Master Natural Sciences at the University at Buffalo, The State University of New York. During her stay in Buffalo she did her second Master internship at Roswell Park Cancer Institute where she worked on transcriptomic and methylomic changes after the treatment with demethylating agents in bladder cancer. 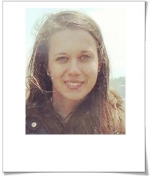 In September 2014 she started working as a PhD student at Toxicogenomics Department of Maastricht University. Here she will work on the translational control during genotoxic stress.